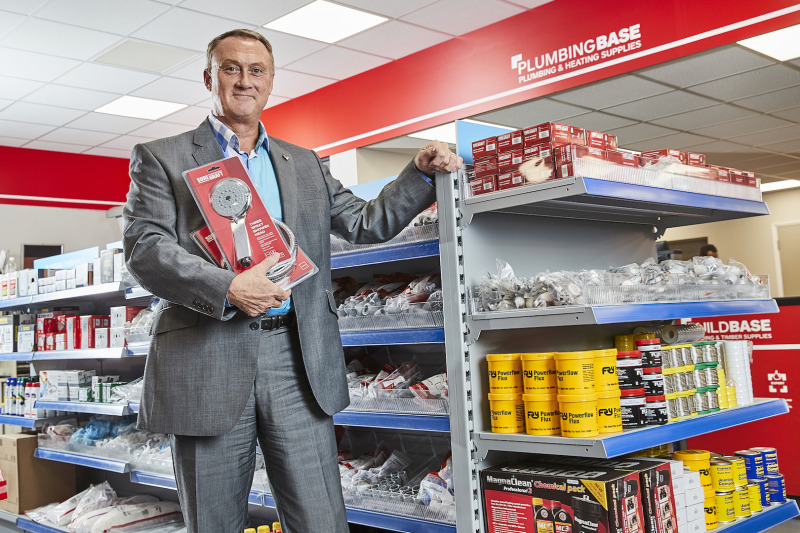 Builders’ merchant, Buildbase has launched a dedicated plumbing and heating business within 44 branches to help create a one-stop shop for tradesmen. Plumbingbase will be clearly branded alongside Hirebase, Electricbase and, Kitchen and Bathroom Showrooms in the Buildbase branches, with a view to providing a complete and comprehensive offering of “everything a tradesperson needs under one roof”. The new format is in addition to the standalone Plumbase branches that are also part of Grafton Group. Aimed at builders, plasterers, housing developers, and plumbing and heating contractors, Plumbingbase will carry a core range of plumbing and heating products, from boilers to waste pipes. A wider breadth of products will be available at larger sites. The company has recruited plumbing and heating specialists to provide knowledgeable advice and support across all branches. The Buildbase estate comprises more than 170 branches throughout the UK and the firm has revealed plans to roll the new Plumbingbase format out at further locations in 2019. Buildbase commercial director Lyndon Johnson said: “We understand that time is money for our customers. Plumbingbase will complete our ‘one-stop shop’ philosophy, reducing the need for customers to go to several merchants for a project, saving time and making their lives easier. Grafton Group closed 47 Plumbase and Contracts branches in 2016 as part of a restructure of its UK plumbing, heating and contracts business and to keep tight control of overheads. Despite an initial drop-off in revenue, the restructure has resulted in like-for-like business and benefits, with Plumbase profitability substantially improved from a low base. The company has since reported like-for-like revenue growth in FY2017 and has maintained “gross margin discipline in a very competitive market environment”. Meanwhile, Screwfix has also seen opportunities in the category, reporting that a 4.5% LFL sales growth in H1 was driven by its specialist trade desks that serve plumbers and electricians.